Beautiful house for six people in El Toro, within a quiet environment but close to everything. 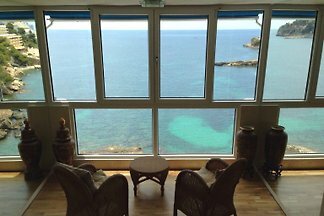 Individually decorated villa with lots of comfort and inspiration for up to 7 people. 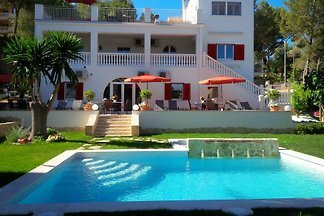 4 beach near apartments, holiday villas with private terraces, some with sea view in a newly refurbished villa in the popular resort of Paguera on Mallorca. Near beach Villa for up to 18 people. Athletes are welcome. For cyclists there is a lockable bicycle storage room with professional suspension. 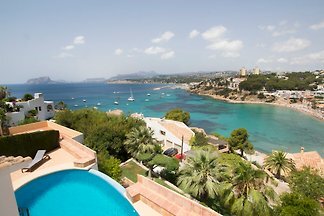 The airy, bright apartment is located within the picturesque holiday village Cala Fornells on a steep slope between the sky and deep blue sea at Paguera. Cosy villa with panoramic sea views . 4 bedrooms, 3 bathrooms, dinning room, living room, air conditioning, pool, garden, BBQ, parking space for 2 cars. We invite you to enjoy incredible views of the mountains and the sea from the infinity pool of this luxurious three-story house in Cas Català Nou. Welcome to this beautiful semi-detached house located in Andratx. It can accommodate up to 4 people. 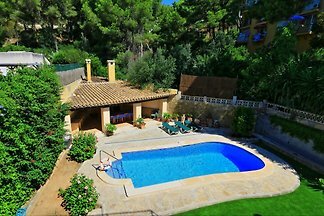 Great and elegant villa in Andratx for ten people, surrounded by mountains and forest, and with private swimming pool. It can accommodate 10 people. 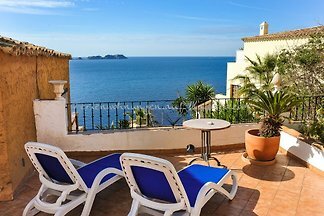 Lovely town house with spectacular views to the mountains from the chill-out terrace in s'Arracó. It offers accommodation and relax to 10 guests. 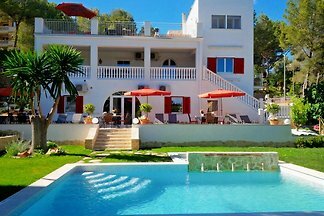 Coquettish house in the mountains with private pool in Sant Elm, in the East side of Mallorca. Capacity for up to 8 persons. Rent successfully your holiday flat or holiday home in El Toro in only 20 minutes !